BeefEater Outdoor BBQ,Porcelain enamel coated hood.Spring assist hood,Integrated thermometer,Reinforced detachable shelves.Easy to remove secured grease tray.Enamelled cast iron grill and plate combo,2 Stainless steel burners – 10Mj each,Cast aluminium body,Stand,Secure BBQ stand lock.Tough ribbed stand legs,Accessory hooks,Gas cylinder hook,BUGG series. 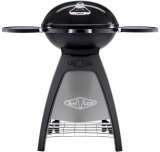 The BeefEater BB49926 BBQ Grill was added to the BBQ Grills category in August 2017. The lowest price GetPrice has found for the BeefEater BB49926 BBQ Grill in Australia is $629.00 from Thebarbequestore.com.au.